You can work together on a story in real-time. 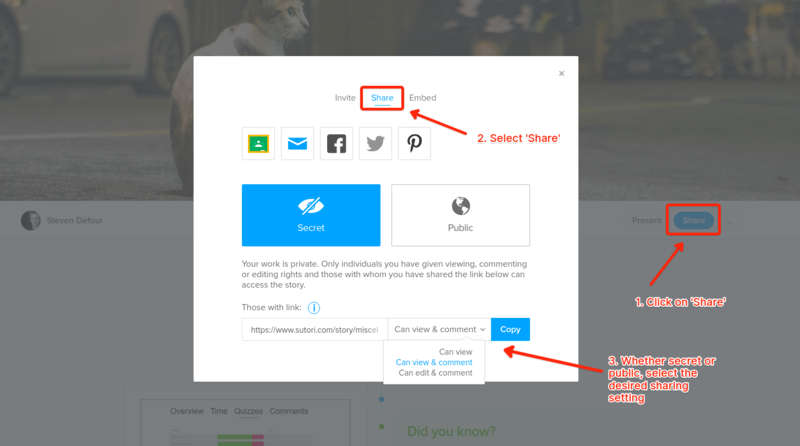 Click on &apos;Share&apos; when on the story and give editing rights to others as on the screenshot below. Users who are not on Sutori will receive an invitation to join via email. 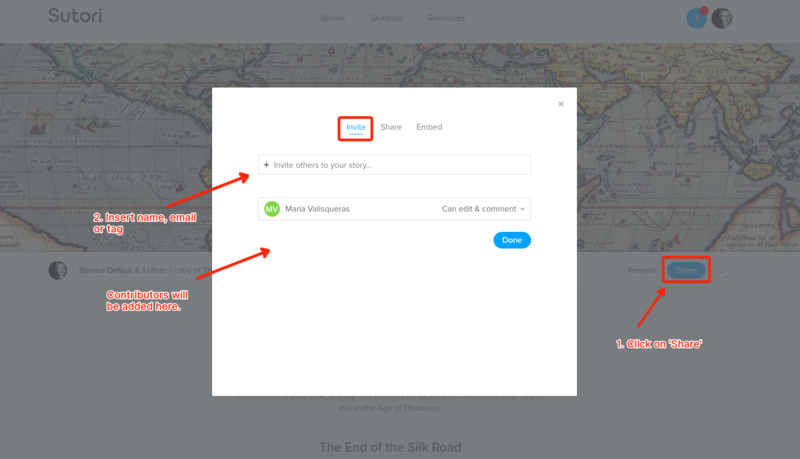 If teachers have set up tags (a group of students or class) on their students page, they can also share directly to them. The creator of the story can invite an unlimited amount of collaborators.